Please note that due to issues with our websites server, many enquiries which were submitted via our website have not reached us. If you have submitted an enquiry since early December, and have not received a response, please email your query to office@childs-play.com. We apologise for any inconvenience caused and we will respond to your emailed enquiries shortly. Thank you for your patience. Child's Play is more than just a publishing programme, it is a philosophy. We understand that a child's early years are more important than any other and this is when they learn the most about the world around them. Books play a vital role in building the foundations for learning, and exposure to quality books from an early age helps to develop an enquiring mind and a lifelong love of reading. 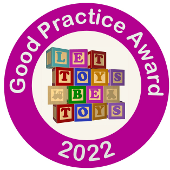 Child's Play has a history of creating innovative, award-winning books for children from 0-8 years that promote learning through play  books that fully reflect our diverse society in terms of heritage, disability, gender and family. Child's Play books are loved by parents, teachers and, most importantly, children all over the world. 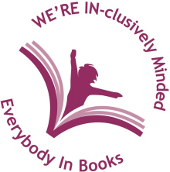 Child's Play is proud to work with BookTrust, the independent reading and writing charity! A number of our titles have been included in BookTrust's Bookstart packs over the years. A much-loved early reading programme, Bookstart gifts free books to babies, toddlers and 3-year-olds. The programme exists to give every child a flying start in life, and thats why Childs Play supports the campaign to help secure it for future generations. Child's Play is proud to support BookTrust's #BathBookBed campaign! Click here to find out more and view our reading list for inspiration!